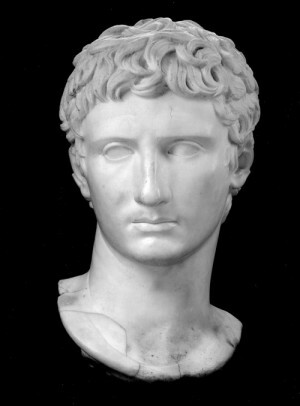 New publication: Is this beautiful portrait of Augustus in Boston an 18th-century fake? The MFA Augustus, Museum of Fine Arts, Boston, inv. no. 99.344, H. L. Pierce Fund. Photograph © 2015 Museum of Fine Arts, Boston. I’ve been working on this project since I was a graduate student! Other research distractions (like finishing my dissertation in 2005), teaching work, and delays in laboratory tests on this piece slowed down the final publication of the article. Finding the right venue for publication was also difficult. I sent it to a major archaeology journal, who said the project was too art historical. When I sent it to a major art history journal, they said it was too archaeological! I’m so glad this project found a home at the Journal of the History of Collections. The editors were very helpful and patient with me; the work on their side went very quickly, yet meticulously. This is the second article I’ve published in an Oxford University Press journal and both experiences have been excellent. Indeed the state of preservation was a major element in my making a case for this piece not being ancient. The article also tackles the provenance of the piece, its style, and technical aspects. And although laboratory tests were carried out on the head by the Museum of Fine Arts, they proved inconclusive. Read the article here at the Journal of the History of Collections. It will be in the print version of the journal soon. What to do with recovered antiquities? The header photo is a detail of the hair of the so-called Thespis portrait from the Villa dei Papiri, Herculaneum. I took the photo in August 2009 at the Museo Archeologico Nazionale in Naples.